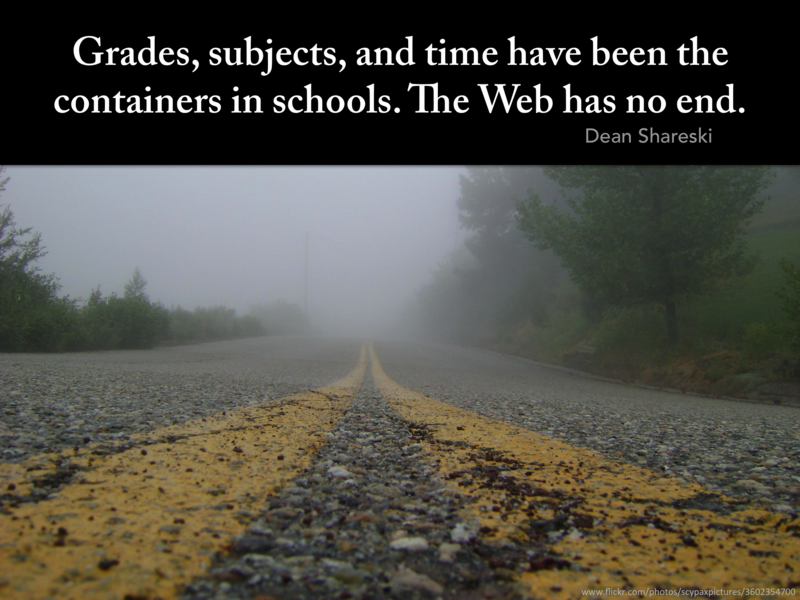 I love this post by Dean Shareski, but not for the reasons you might think. What begins as a somewhat rushed (?) rant about the digital divide becomes clarified in the comments, and eventually solidifies into a strong argument against our common language habits associated “the achievement gap.” I love that the post is imperfect, I love the discussion that ensues, and I love that the cream naturally rose to the top. Containers – Slide created by Scott McLeod. Thanks, Dean, Scott, and Andrew! Such a great reminder of how perfect learning in an imperfect environment can be.